Cheap skis and snowboarding gear. The Ski shop area of Tokyo. If you are in the market for some ski gear and have a bit of time before you make your way to Hakuba then a trip to JimboCho in Tokyo may be a good idea. The ski/snowboard(sports store) area is located between Ogawamachi and Jimbocho subway stations in the Kanda district of Tokyo (about 10min walk west of Akihabara), along Yasakuni Dori(Yasakuni Street) and the small streets just off it. There are a few exits at Ogawamachi subway station, but get out at the Yasakuni Dori exit(B5). You can follow the map from Akihabara if you’re game. You can also get there via JR (Japan Rail, useful if you have a JR Railpass). Get off at Ochanomizu station at the east end of the station(not the Ochanomizu-bashi exit), and head south down Hongo Dori (it runs down the hill away from the river) until it hits Yasakuni Dori just near Ogawamachi subway station. Cross to the south side of Yasakuni Dori, and then walk west along Yasakuni Dori, and within 50-60m you’ll see some ski/snowboard shops. One of the first ones on the left is the London Sports surplus store, where you can get some amazing bargains. This is absolutely the cheapest store in the whole area. EVERYTHING in the shop is cheap. Skis, snowboards, boots, bindings, clothing including Goretex. ( REAL Goretex jackets start at $90) Skis start at a ridiculous $40. A few people speak English in the shop, but you need to know your models. If you have a few days in Tokyo, get onto the internet and find the models. Keep going and there are numerous shops on both sides and in side streets. Make sure you know your prices, because the brand new stuff before the season can be INCREDIBLY expensive. Once you start seeing book shops and music stores, you know you’ve gone too far. Double back on the other side of the street. There are probably 40-60 shops in all….. 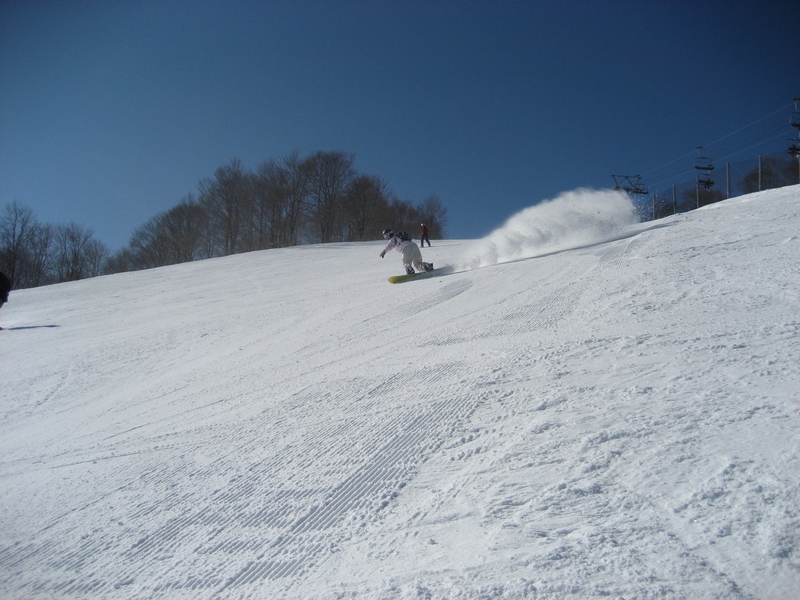 This entry was posted in Uncategorized and tagged Hakuba, Happo, hotels, ski japan, Tokyo. Bookmark the permalink. Thank you for this! Very informative and good to know when we travel to Japan to ski.